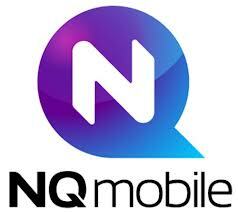 Altimeter Capital Management, led by Brad Gerstner, in a new filing disclosed that it has upped its stake in NQ Mobile Inc (ADR) (NYSE:NQ), to 21.47 million shares from 18.47 million shares held on December 31, 201. The current stake is held in the form of American Depositary Shares, each representing five Class A shares. The stake amasses 9.85% of class. The company laid down its guidance for revenue to be in the range of $305 – 310 million in the fiscal year 2014. Also, NQ plans to hit revenue of $500 million in 2015 and $1 billion by 2017. Earlier, at the end of October, Longbow Securities, revealed a stake of 8.04% in NQ Mobile Inc (ADR) (NYSE:NQ), which, however, was sold out with a couple of days. CR Intrinsic Investors, a subsidiary of SAC Capital, owns 616,455 shares, with a reported value of $13.43 million. Steven Cohen’s SAC Capital Advisors, currently owns 564,841 shares, worth $12.31 million. Espalier Global Management, led by Wojciech Uzdelewicz, currently holds 482,800 shares with a reported value of $10.52 million. Altimeter Capital Management focuses on the services sector. The fund has a fifth of its equity portfolio invested in Priceline.com Inc (NASDAQ:PCLN), its stake amasses 150,700 shares, with a reported value of $152.35 million. The second-largest holding of the fund is Delta Air Lines, Inc. (NYSE:DAL), holding 5.43 million shares, worth $128.14 million. Altimeter Capital Management, increased its stake by 32% in United Continental Holdings Inc (NYSE:UAL), in the third quarter of 2013, and now owns 2.90 million shares.